Nearly every St. Patrick's day season, the corned beef briskets show up in stores and I start getting emails about smoked corned beef brisket or making homemade pastrami. 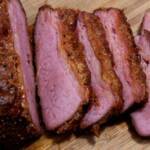 Pastrami is simply a corned beef brisket seasoned with a special blend of spices and then smoked until tender. 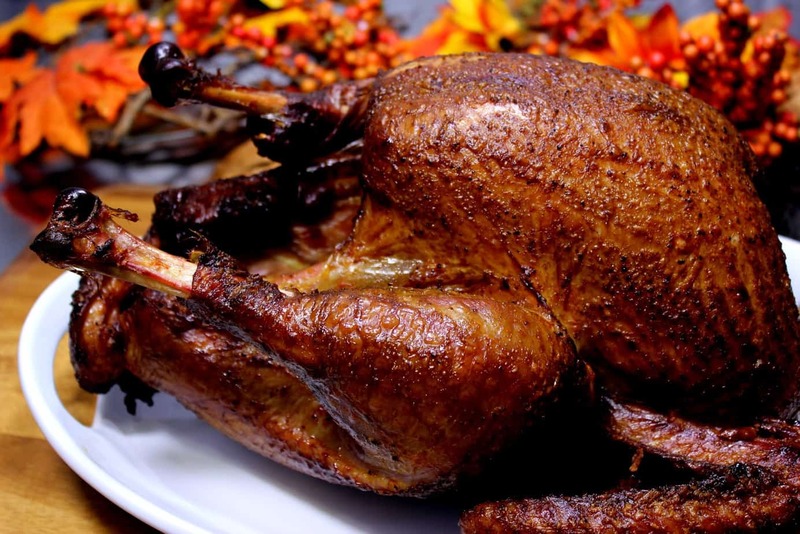 In this variation, I am going to show you how to amp up the flavor with my original rub (purchase recipes here) and finish with a tasty horseradish mustard sauce. 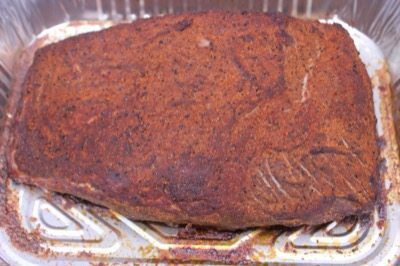 It'll be the best smoked corned beef brisket you've ever had.. I have no doubts! 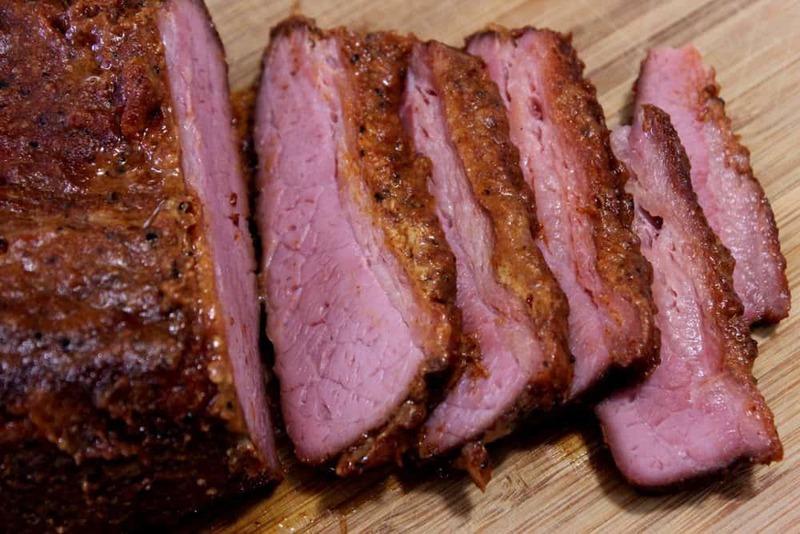 Jeff's original rub on the smoked corned beef brisket is the way to go if you want amazing flavor without the rub overpowering the wonderful taste beef or adding a lot of saltiness. 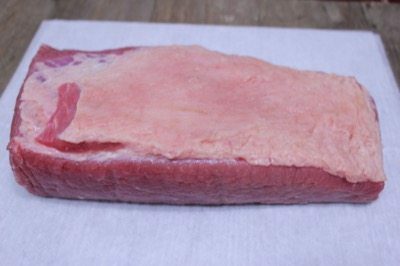 When you go to purchase a corned beef brisket, there will be every size and shape and weights ranging from 2.5 to 4 lbs usually with most of them right around 3 pounds. Look for one that is of even thickness side to side and end to end and has a nice fat cap of about ¼ inch thick. 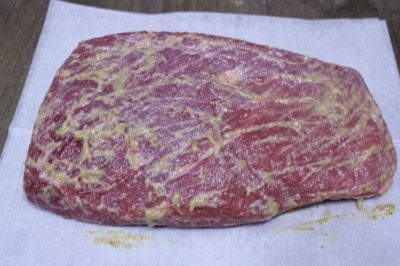 Corned beef briskets are very salty and if you like it that way, then you can skip this step but if you want to remove some of that salt, it's pretty easy to do by simply soaking it in cold water in the fridge for several hours. Change out the water every 30-45 minutes. The longer you soak, the more salt is removed but typically 3-4 hours is plenty. 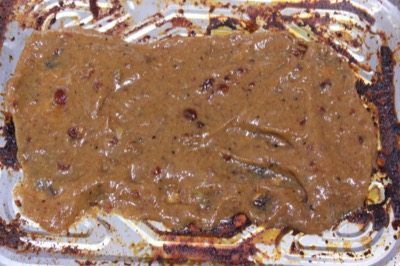 I don't use the seasoning packet that is often included in the package but if you want to use it, do so before you add the rub and rub it all over the meat to get even distribution of the spices, herbs and seeds. 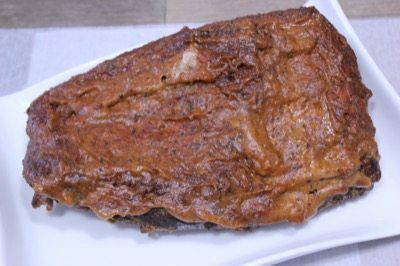 If you see any clumps or patches of fat on the corned beed brisket other than the on the fat cap side, you might consider removing it with a sharp knife. It's not something you have to do but it will improve the aesthetics and I am of the persuasion that we eat with our eyes as much as anything else so it's important for the end product to look as good and “well put together” as it possibly can. 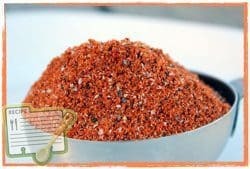 Now we are ready to season the meat, place it fat cap down on a cutting board or down in a pan to contain the mess. Apply a good coat of horseradish mustard such as Dijon, Grey Poupon, etc. onto the top and sides of the brisket (fat cap side is down). 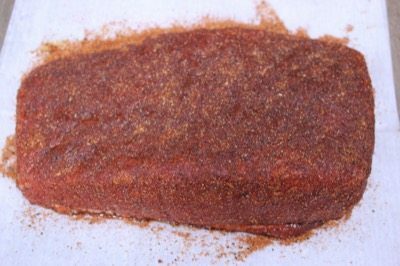 Sprinkle Jeff's original rub (purchase recipes here) liberally onto the top and sides of the brisket and pat it into place lightly with your hands or a fork but do not rub it in. We want to create a nice flavorful crust. Turn the meat over carefully to fat cap side up. Repeat the horseradish mustard and Jeff's original rub (purchase recipes here) on the fat cap side. 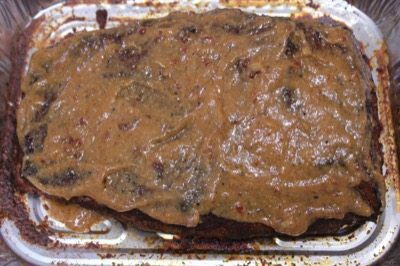 The corned beef brisket flat is ready to go into the smoker. I did mine the night before so it went over a pan, fat cap up, and into the fridge ready to go into the smoker the next morning. 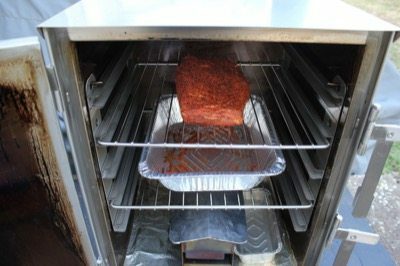 I used the Smokin-it 2D smoker, which requires no preheating. 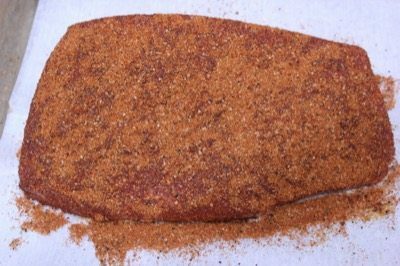 It is recommended that you put 8 ounces or less of wood in the smoke box, place the meat into the smoker and turn it on for best results. In reviewing this smoker over the last month or two, I have followed this to a tee and I must admit, it is a great recommendation to follow. If you are using a different smoker, you will have different setup procedures and you may need to preheat the smoker, especially if it's cold outside. 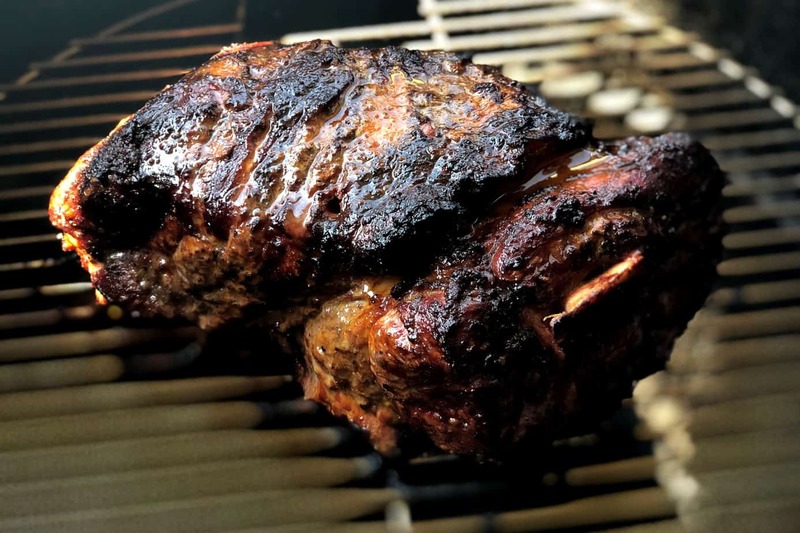 When the smoker is ready, place the meat directly on the smoker grate and if you have multiple grates, it's usually a great idea to place a pan on a lower rack to reduce cleanup. 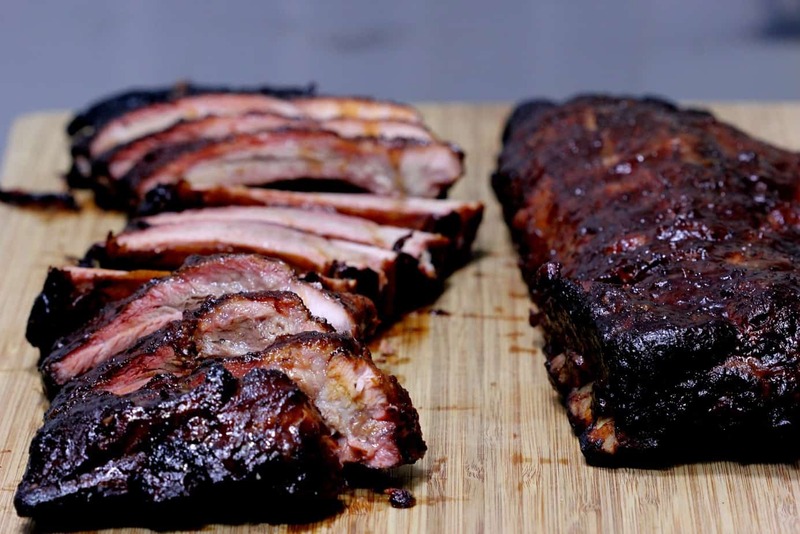 Be sure to use a pan that does not block the flow of heat and smoke to the sides, front and back of the smoker. 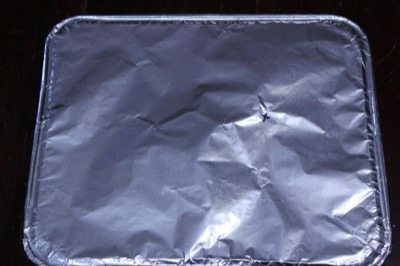 Note: Some smokers such as the Bradley instruct to never use a foil pan in the smoker or to line the racks with foil as it creates a fire risk. I have done this with very small pans that do not block the airflow but I must warn you to do so at your own risk. 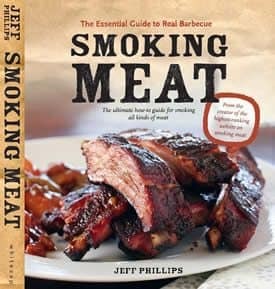 Allow the meat to cook in the smoker for about 2-3 hours or until it reaches 130-140°F in the thickest part of the meat. I use the “Smoke” thermometer by Thermoworks almost exclusively to monitor temperature. The Smokin-it 2D comes with a built in probe that monitors the temperature of the meat but I have been using the “Smoke” in tandem with that to check the accuracy of the built-in. You can continue to add smoke throughout this initial smoke time. When the corned beef brisket has reached about 130-140°F and has been cooking for 2-3 hours (varies by meat thickness), it is time to do some braising to tenderize the meat. The horseradish mustard really goes well with the smoked corned beef and in this variation, I have mixed the horseradish mustard with equal parts of my barbecue sauce (purchase recipes here). This was so good I was licking the spoon.. of course, I love horseradish so the new combination of flavors was amazing! 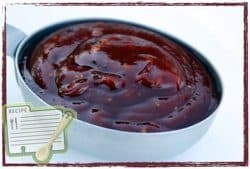 Mix up about ½ cup of Jeff's original barbecue sauce (purchase recipes here) with about ½ cup of the horseradish mustard and stir to combine. Make a little extra if you want extra for using later on a sandwich. Lay down a pad of the mustard in the bottom of the pan and lay the meat, still fat cap up, onto the mustard. Brush a good layer of the mustard sauce onto the top of the fat cap as well. Be generous! Cover the top of the pan tightly with foil and place it back into the smoker. The oven can also be used in this last stage of the process since the meat is covered in foil. Note: It is important to continue monitoring the temperature of the meat so make sure a probe is inserted into the thickest part of the meat and that the foil is sealed around the probe wire. You can also place a small hole in the foil top to push the probe through. 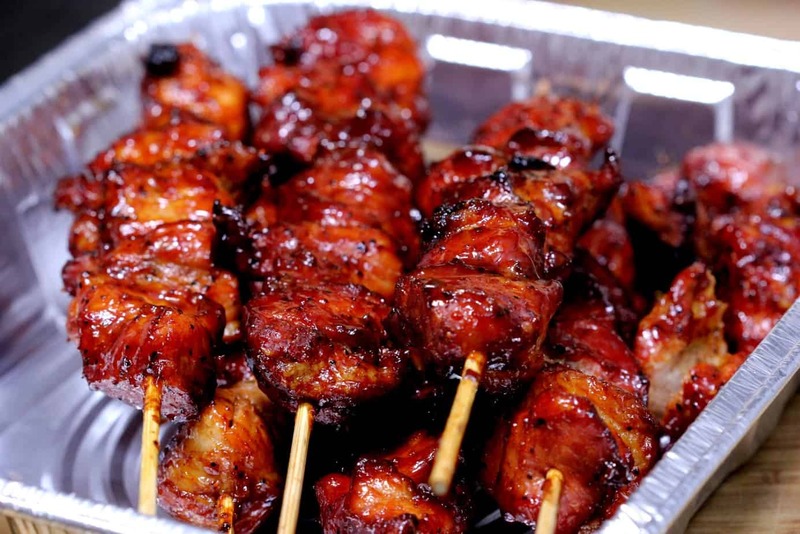 With the meat covered in foil, there is no need to continue adding smoke, maintain the heat at 225-240°F until the thickest part of the meat reaches about 185°F. 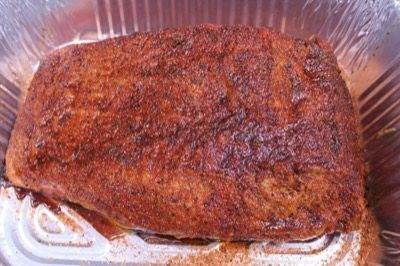 Let the meat rest for at least 30 minutes or up to an hour in the foil with a thick towel laid over the foiled top or you can leave it in the smoker or oven at 140-170°F during the resting period if you so desire. Remove the meat from the pan and onto a cutting board or plate. Slice into pieces the thickness of a pencil and across the grain for best results. 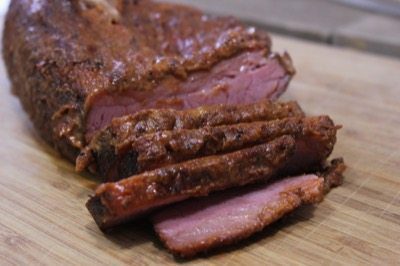 Why not make smoked corned beef brisket this St. Patricks day and it's so easy you'll probably find yourself doing this throughout the rest of the year. Remove the corned beef brisket from the package. To remove extra salt, soak the meat in cold water in the fridge, changing out the water every 30 minutes. Three to four hours should be plenty of soak time to remove the extra salt. Remove any excess fat on the non fat cap side of the brisket. 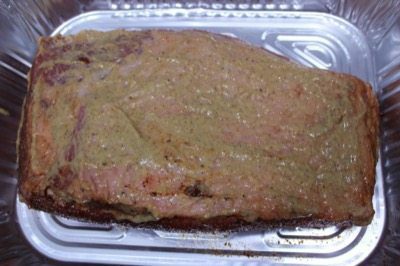 Coat the entire corned beef brisket with horseradish mustard then apply Jeff's original rub liberally to all sides. Pat the rub down as it is applied rather than massaging it in. Set up smoker for cooking at 225°F with hickory smoke. 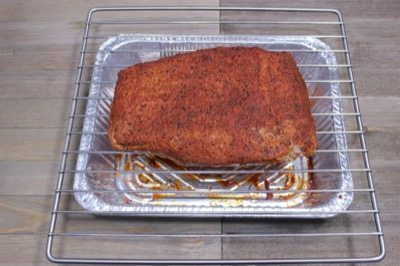 Place the corned beef brisket on the smoker grate and smoke cook for 2-3 hours or until it reaches 130-140°F in the center of the thickest part. 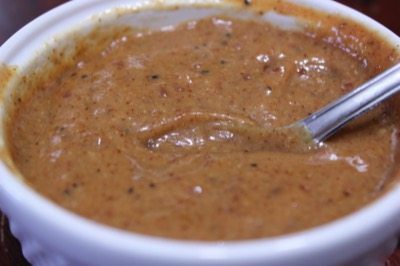 Make a mustard sauce by mixing equal parts of Jeff's original barbecue sauce with horseradish mustard such as Dijon or Grey Poupon. Create a pad of mustard in the bottom of a pan and lay the meat on the pad fat cap side up. Brush more of the mustard sauce onto the fat cap and cover tightly with foil. Place the meat back into the smoker at 225°F and continue cooking until it reaches 185°F in the thickest part. Let the meat rest under foil for 30 minutes then slice pencil thick and serve. Don’t know what I did wrong. Made this for NYE. Ran at 225 F in an MES for 7 hours before I took them out at 180F. At 140, wrapped in foil with some liquid to braise. Taste was good but it was not tender at all. Made this for mothers day. Came out great. Awesome recipe. Bought a tip cut instead of flat due to extreme sale during St. Patty’s day. I followed this recipe pretty much exactly, and it turned out great. I did soak the meat for a few hours in cool water, changing the water multiple times, to try to leech some of the salt. I smoked mine over hickory. Definitely a very unique combo of flavors. Everyone enjoyed it, I will definitely be making this every year for st. patty’s.